Used in the upcoming Cassini Shawl. I needed a decorative edge for a design of a Showy Garter crescent shawl. While garter stitch doesn’t roll, the edges can be a bit drab. In the process of playing with bulky stitches I developed a technique that also works well for a cast on and bind off. The bind off edge had me so excited it earned me a ‘Have you lost your mind?’ look from my husband when I jumped out of my seat one evening with a resounding “YES!”. There are two things about most of my designs you may have noticed by now. First, you will almost always find a Showy Decrease adding dimension to the knit fabric. And second, I love interesting edges. Very rarely will you find a pattern without a decorative or bulky cast on, side edge or bind off. Wrapping is used in certain stitch patterns, smocking for example, to create horizontal lines and gathered stitches. Here we are wrapping 2 sts as part of a k2tog. The wrap creates a knotted look that adds definition to our Knotted K2Tog Bind Off, and in future blogs (soon) we’ll show it with our Knotted Cast On and a nubby side stitch as well. Since it is just 2 stitches, it doesn’t take a lot of effort to work and it has the added benefit of being stretchy. Let’s Get Started with a Photo Tutorial and Video! Here are two ways to learn about this technique. First, there is a PDF photo tutorial you can download. It spells out the techniques and shows you how to work it step-by-step. And now for the first time, you can see me work our Nuances on You Tube. We’ll be announcing that in the next blog post but there’s no need to wait. The video is already posted and available here on our You Tube Channel. I recommend you download the photo tutorial, then grab some needle and scrap yarn and watch the video. I’m sure this will become your favorite bind off too. One last thing, as shown here, the Knotted K2Tog Bind Off is perfect for curved edges or flares. Let me know what you think. The bind off looks really interesting. These look great. Never before even heard of this although a knitter/crocheter now for 48/49 years, respectively. Interested in following all your work …keep it up!!! Nice. When will that shawl, Cassini, be available? I am working on a baby sweater right now, and when I get ready to cast off I am going to use this one… this is the most interesting thing I have seen in a long time! Oh BTW, yesterday when I cast on this baby sweater, instead of the called-for K1f&b increase called for, I did what YOU suggested K1b&f – WOW!!!!! Are you kidding me!?!?!?! Amazing!!!!! Such a simple thing that makes ALL the difference in the finished look of a project. This is now the first blog I read with my coffee in the morning 🙂 Many Thanks for making my knitting look SO good! Ways to do a bind off. Does this bind off make scarfs less likely to roll? Hi Patty, not really. The weight does help with curling but with pure stockinette they will still roll. Since the last row before the bind off is a *k1, p1* row, I would work a few rows of seed stitch before hand. Garter is not a problem and you can see in the pink/gray cowl that the rib is enough to prevent rolling too. Ok, I’m in love! I agree this bind off is a winner and exactly what I’ve been searching for. Will be using it a lot. Thanks for sharing it. That’s a great idea! I was wondering how I could mimic the stitch in a cast on. Again thank you! This bind off is fantastic! It gives the interest of a picot edge, is much easier and uses less yarn. Knitting in-the-round for a size 2 dress, I did one row of purl stitch, one row of P1K1 then the bind off. The edges of the neck, sleeves or full skirt do not roll. Excellent print and video tutorial. 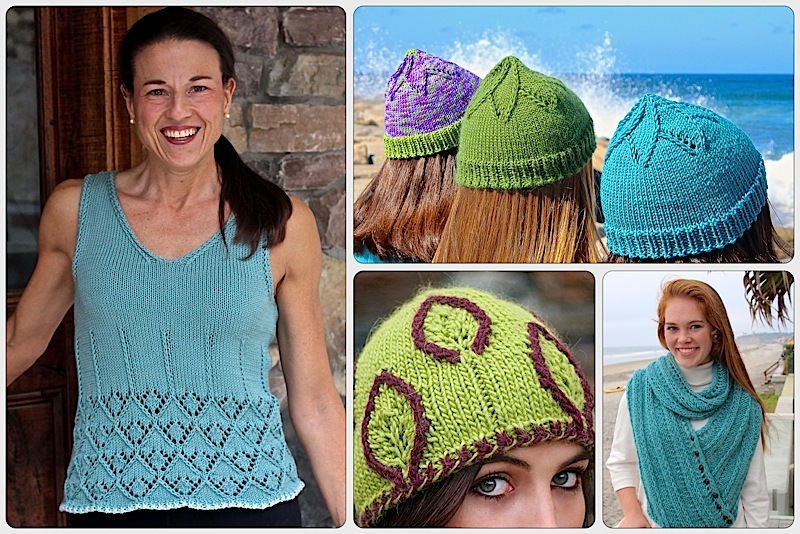 Love this site as recommended by a Knitting Paradise member. Thanks Marti! I am also a KPer and love how this group is always interested in new techniques. This entry was posted on October 31, 2017 by Laura Cunitz in Edges, Nuances, Videos and tagged bind off, knitting.